Promotional Gradient Malibu Sunglasses are amazing promotional giveaways for brands, business as well as events & activities. Made up of polycarbonate material, these custom Malibu sunglasses are vibrant color choices, along with Silver accents. Decent 2" W x ¼" H imprint space and UV400 lenses are also factors that make these custom new arrival sunglasses outstanding. 100% UVA and UVB Protection makes these printable sunglasses worthy to carry to the beach or other outdoor activities. Order these products right now to win free online proofs, free artwork design and fastest turnaround time offers. 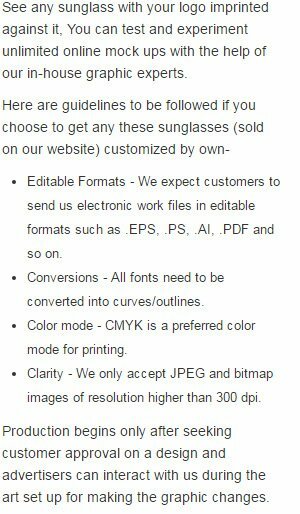 Request a quote to know the value savings that you can avail on bulk orders of Promotional Gradient Malibu Sunglasses. When ordering blank items of this product either exactly 1 or atleast '+100+' must be ordered!